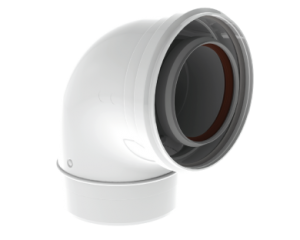 Coaxline is a robust white concentric PP-flue system for high efficiency boilers. Coaxline is easily applicable for set-up of condensing appliances. In this way you can always benefit from the advantages of PP material and the technical / cosmetic advantages of a powder coated concentric flue system. Coaxline Standard system with a double seal. Coaxline Plus system with a locking clamp. 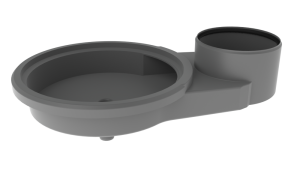 Fast: concentric PP, simply made-to-fit and easy to install. Due to short able and telescopic components. 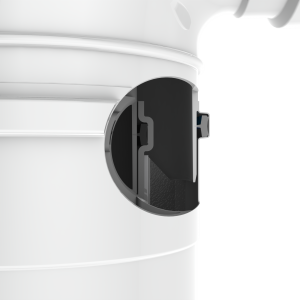 Safe: the flue pipes are covered by the Air intake lines. Clean: no corrosion of aluminium in the flue system, so less pollution in the high efficiency boiler. Sustainable: the high-grade PP material is condensate-resistant and tested for long-life. With CE and ULC approval. Inner and outer pipes are easy separatable for recycling. 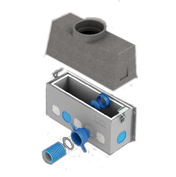 Coaxline is a modular system of high-quality injection moulded or extruded flue parts. In combination with a white powder coated ventilation pipe. This leaves the inner wall completely smooth and the flue discharge will be optimal, because it is unhampered by edges from the welding. The fact that the parts are not welded is also a guarantee for their perfect dimensional stability. Coaxline elbows do not only have a perfectly smooth inner wall, but they have been constructed in such a way that condensate cannot remain behind. All elbows are fitted with a clever discharge flume. Influence of condensate is thus prevented, which is favourable for the sustainability. 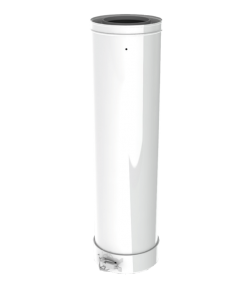 A robust white coated Coaxline flue system can be installed quickly. The components are single packed or available in customized flue kits.